As consumers embrace technology in their everyday lives, notably through the increasing use of smartphones, the boundaries between the virtual and real world become increasingly blurred. Virtual wallets, virtual assistants, virtual try-on apps and even virtual currencies like Bitcoin are signs of what is about to come. My article is my attempt to highlight initiatives of such beauty brands in adopting technology as an integral part of their overall strategy. 21 May How is technology transforming Beauty retail? As per figures released by Euromonitor International, Beauty sector is one of the most promising sectors for future growth of retail segment & is valued at USD 9 billion in the Middle East. Our generation is really blessed in terms of technology that we have at our disposal, especially smartphones which are not only telecommunication device but are also powerful computing devices. My inspiration to write this article comes from recently concluded exhibition in Dubai i.e. Beauty world, 2018. 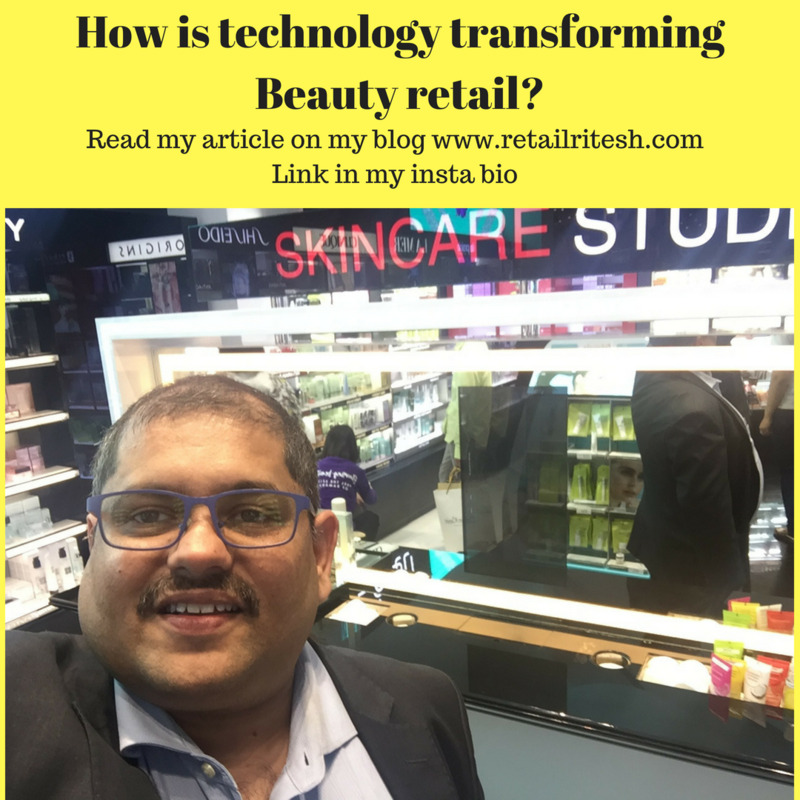 I find the integration of technology in beauty sector is currently low but there are few brands which are taking technological initiatives as their core strategy to drive their future growth. My article is my attempt to highlight initiatives of such beauty brands in adopting technology as an integral part of their overall strategy. As consumers embrace technology in their everyday lives, notably through the increasing use of smartphones, the boundaries between the virtual and real world become increasingly blurred. Virtual wallets, virtual assistants, virtual try-on apps and even virtual currencies like Bitcoin are signs of what is about to come. Demand for high-tech treatments at home has given rise to a range of electronic devices whose claims range from improving the efficacy of skin care products to replicating anti-aging treatments in salons. Skincare diagnostic tools, from DNA testing to skin analysis, YouTube videos and diagnostic applications, are all adding to consumers’ experience, both in-store and online, thus affecting purchase decisions. Diagnostic tools have had a technology make-over and now come in the form of online questionnaires, apps or in-store devices. From Sephora’s skincare IQ to Harrods’ Ioma machine, consumers’ desire for customizing their skincare is stronger than in any other category. Digital apps like OKU (an at-home device and app that analyses skin condition), L’Oréal’s Make-Up Genius and Klara (an app that sends pictures of consumers’ skin to dermatologists) aim to offer professional skin care analysis in the comfort of consumers’ homes. Sephora’s latest cooperation with Apple to combine Apple Pay with the Sephora app and create a Sephora Wallet is showcasing the increasing influence digital wallets can have in beauty. 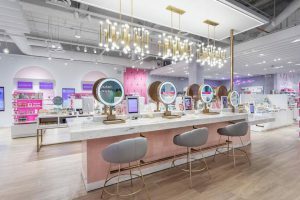 One such retailer that transformed its customer engagement and Omnichannel experience is Ulta Beauty, America’s largest beauty specialty store. 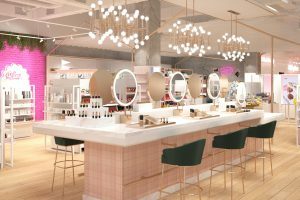 Implementing its Connected Beauty vision has allowed Ulta to seamlessly manage real-time inventory across 20,000 products and 800 stores as well as serve customers with in-depth, personalized recommendations. Today, Ulta’s customers get personalized cosmetics recommendations that include product data, crowd-sourced reviews, and how-to videos. The brand’s Beauty tip workshops actually encourage shoppers to play with products before making any purchases. Ulta beauty has taken their loyalty program to a different level by launching a social media platform specifically designed for loyalty members to talk to each other about products and have beauty-focused discussions. Another brand which is spearheading technology driven beauty engagement is SEPHORA. In principle, Sephora’s success comes in part from the retailer’s reputation for always having the newest and best brands — something that invites shoppers in to test products out. Both Sephora and Ulta have “really managed to crack what experience in beauty is.” “Experience & technology” is the core of their strategy. The fact that both stores have done so well also has to do with the fact that they cater to different types of customers. Sephora focuses more on upscale brands, whereas Ulta has a mix of prestige and mass consumer brands, and both have friendly environments that appeal to shoppers more than the department store model. Check out Sephora’s virtual artist cheek try on an app. 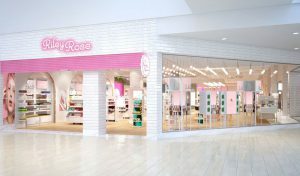 The brand has taken positives from Ulta, Urban Outfitters, and Nyx, the resulting a new fun beauty brand Riley Rose, the new beauty concept store brought to you by Forever 21. Conclusion: The Beauty retail landscape is becoming increasingly crowded and more competitive than ever. We are moving towards a reality where consumers can easily get anything, anytime, anywhere. And this has fundamentally changed the face of customers – how they make decisions, what they value, and how they want to do business. Retailers that do not take the essential first step to differentiate themselves through innovative customer engagement risk becoming irrelevant – forever. Ritesh Mohan is a passionate retail professional with over 19 years in the retail sector, handling some of the biggest brands in beauty, fashion and fragrances retail & FMCG sector. He has been instrumental in the growth of some of the regional brands as well in Middle East region. He specializes in Retail management, Product development, Brand management, Retail Operations, Sales Management, Business Management & Empowering business owners with his wisdom & experience of around two decades in the industry.